As the e-tolls saga rages on, Sanral quietly hiked toll fees by 6%. The South African National Roads Agency's (Sanral's) claims that a recent high court judgment on an e-toll defaulter sets a precedent are "misleading and dangerous". This is according to e-tolls opponent, the Organisation of Undoing Tax Abuse (Outa), which argues it is important to note the matter which Sanral is crowing about is simply a default judgment obtained against an individual who ignored a summons issued for the non-payment of e-tolls. In other words, says Outa, there was no legal hearing on the merits or legality of the e-toll scheme and thus, no ruling or formal judgment was provided by a judge. 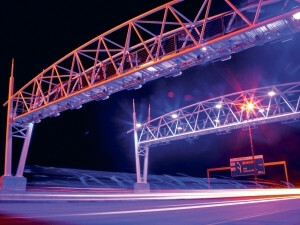 This week, the roads agency welcomed a high court judgment in Pretoria for the non-payment of e-tolls. The court ordered an Alberton-based building supply company to pay its outstanding debt of R450 000. Sanral spokesperson Vusi Mona celebrated the ruling, saying: "We are confident the default judgment in our favour will be persuasive for other courts when deciding subsequent cases. In a rules-based society where courts are the final arbiters, the judgment moves us forward on this matter." However, Outa says a default judgment is only possible if and when a person who has received a summons fails to elect to defend. "By obtaining a default judgment and then claiming this to be a precedent-setting outcome of e-tolls, Sanral is playing with the technicalities of legal procedures," the civil organisation says. "This tactic is disingenuous, extremely dangerous and appears as if Sanral is attempting to slip through the back door in search of default judgments to prevent the merits of the case and the lawfulness arguments being heard." It points out the current test case under development between Outa and Sanral's lawyers is where the merits of e-tolling will be challenged, with the necessary facts and issues presented. According to Outa, in addition to the lack of merits being presented, Sanral's default judgment has been obtained on a "simple summons" which contains numerous errors, making the technicalities of allowing the default judgment by the registrar of the court extremely concerning. The civil organisation also argues the conduct by Sanral to seek default judgments while at the same time developing a formal test case is extremely dangerous in that a default judgment has the potential to push a business into liquidation. This could give rise to detrimental ramifications in which people lose their businesses and employees are retrenched, which in itself gives rise to the possibility of triggering depression and even suicide, it adds. "We have to ask Sanral's leadership and their lawyers if they have given serious thought to the consequences of their actions," says Ben Theron, Outa's portfolio director for transport. "What will happen when Sanral loses a properly defended case on the merits and unlawfulness of the scheme? How will Sanral try to unscramble the egg of businesses forced into liquidation and of people losing their jobs?" In effect, Theron notes, Sanral is playing with people's lives and livelihood. "They should cease to play these dangerous games with society, more so with a scheme that has clearly failed and one that has mounting evidence of its illegality on the back of so many factors which have come to light on the e-toll decision, evident in the Western Cape case, which Sanral lost in all three courts." Outa is now evaluating the need and possibility to have this default rescinded and will inform the public of developments in this regard in due course. "Whatever the future, Outa's defensive challenge will be heard in court and Sanral will not be able to circumvent this reality." Meanwhile, Sanral quietly gazetted new toll-fee increases, a move that will result in Gauteng motorists paying more for e-tolls. These new toll tariffs and monthly caps were effective from 3 March. Following the hike, Manny de Freitas, DA shadow minister of transport, said: "Sanral continues to be uncaring, arrogant and aloof. No explanation was provided as to how these increases were calculated. "The taxpayer is being squeezed financially more and more. I have submitted official questions in Parliament about this. Taxpayers are sick and tired of being expected to pay up without question or explanation. This is unacceptable."